I would like to set a default input to be always the internal microphone. 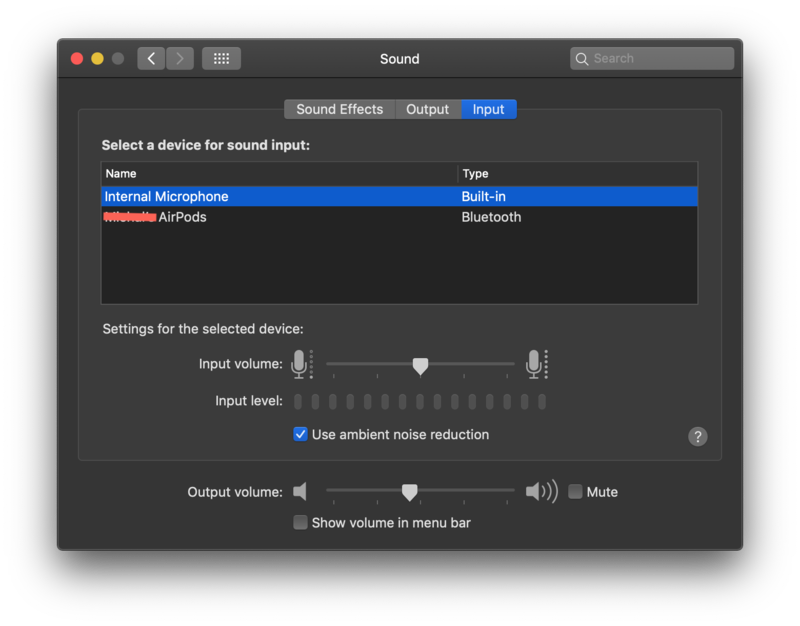 Sometimes when I connect my AirPods to the MacBook the input changes to the AirPods' microphones which results in much worse audio quality. The same thing happens with my second pair of BT headphones. Browse other questions tagged macos mac headphones microphone airpods . How To Include External Microphone Audio In Headphones?